For buyers who heart is still set on the fourth-generation Forester compact crossover, Subaru is giving people one last chance to snag one before stocks run out. And sweetening the deal even more, starting today until the end of the month, Motor Image Pilipinas is offering special financial deals. From today until end of February 2019, the Forester 2.0i-Premium can be yours with zero percent interest at up to 5 years to pay, while the Forester 2.0 XT (the last of the turbocharged Forester models, mind you), can be yours with a low downpayment of P 178,000. In both cases, terms and conditions apply. 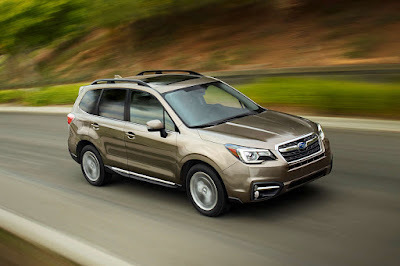 If you prefer cash, remember that Subaru’s also offering the outgoing Forester XT with a P 250,000 discount putting it at the same price as the recently launched 2019 Forester 2.0i-S EyeSight. If you still prefer the fourth-generation non-turbo models, the Forester 2.0i-L has a P 150,000 cash discount while the Forester 2.0i-Premium has a P 200,000 discount. This puts the net selling price of these models at P 1,398,000 and P 1,568,000, respectively—those are cheaper than Subaru XV prices, mind you. Designed for versatility and peace of mind, the Forester is equipped with Subaru’s trademark Symmetrical All-Wheel Drive. If you prefer other Subaru models, head over to your nearest authorized showroom for other amazing deals.